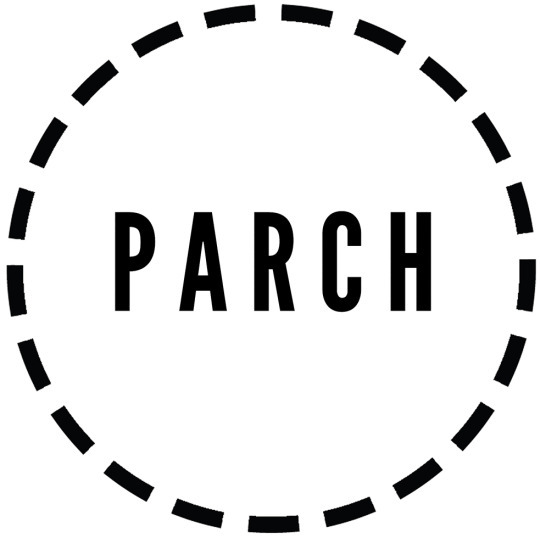 PARCH is an architecture and landscape design practise based in Istanbul. She graduated from Istanbul Technical University Faculty of Architecture, Landscape Architecture Department at 2008 and completed her master of science degree at 2014 in Istanbul Technical University, Architectural Design Programme under the supervision of Assoc.Prof.Dr. Huseyin Kahvecioglu with the dissertation entitled; ‘LANDSCAPE OF LOST SPACES‘ that focused on heterotopia, non-place, the third landscape, terrain vague and photography. During this period she has been at the École Nationale Supérieure d'Architecture de Lyon as a researcher for her master studies in France (2013). In 2014, she has been a part of 2nd Istanbul Design Biennial with the project KADIKOY TREE WALK which is a guided tour that introduces tree species and tree spaces in urban dense. She has been invited by Arkitera for the talk ‘Landscape of Lost Spaces‘ under the theme of ‘What’s Next’ at the international conference ARKIMEET 2014, Istanbul. She has been participated to International Conference Arch & Lit: Inter-Arts Dialogue(s) at Lisbon Nouva University Faculty of Arts and Humanities with the research ‘Visual Literacy of Lost Spaces Through Photography’ in Portugal (2014). She has worked with Deniz Aslan at Istanbul for a year as a landscape architect and based on a project in the scope of Mediterranean landscape (2016). She has been invited by Izmir Metropolitan Municipality Design and History Atelier as an instructor for the workshop ‘DETACHED AND DIFFUSED LANDSCAPES’ (2016). Between the years 2007 and 2015, she has been in collaborations and took national project awards. In 2017, she co-founded PARCH, which is an architecture and landscape design practise based in Istanbul and primarily working on design, research and publishing mostly on landscape/architecture interface issues. In 2018, PARCH has awarded with two different national equivalent project prizes. Same year, she has invited as a member of principal jury committee of the UCTEA Chamber of Landscape Architects Turkey for the 10th National Landscape Architecture Professional Awards with the categories of realised/unrealised project and young landscape architect awards. Besides her architectural practise, she is a part-time studio instructor/lecturer at MEF University Faculty of Arts, Design and Architecture and writes on landscape architecture. In 1994, he graduated from Istanbul Technical University Faculty of Architecture. He completed his master's degree on Sedad Hakkı Eldem and Seyfi Arkan in Architectural History Programme with his supervisor Afife Batur in 1999. During the period he worked with Han Tümertekin, in projects like B2 House (Aga Khan Award 2004), ATK Housing, Çatalhöyük Museum and as the visitor center. In 1998 he took part in the presentation "Beginning ; Zero" at ANYTIME conference held in Ankara. In 2004, he was awarded with the first prize from Arkitera Architecture Festival "Open Charrette" in Istanbul and joined the "Global Architect and Media Event" for a short visit to New York and Washington DC. His proposal "ZEPPELINIZED" for the Ryungyong Hotel was published as No. 893 DOMUS cover (2006). He was the editor of the architectural exhibition entitled “HOME : A Negotiation For Dwelling" (2006) in Istanbul. In 2007 joined to the group INNOCENTACT initiated by Pelin Tan and Hou Hanru in 10th Istanbul Biennial which he carried out a series of interventions, publications and a newspaper at KAHEM. In 2010 with the group İMKANMEKAN published the "İMKANMEKAN: Small Interventions In Public Space" which they took the special prize at XII.Turkish National Architecture Awards and Exhibition. Studied on thresholds and transition in public space at the École Nationale Supérieure d'Architecture de Lyon as an invited researcher for his doctoral studies in France (2013). In 2016, he was invited as an editor at BETONART 48 / Tectonics. In 2017, he co-founded PARCH, which is an architecture and landscape design practise based in Istanbul and primarily working on design, research and publishing mostly on landscape/architecture interface issues. He completed his PhD study at Istanbul Technical University Faculty of Architecture Architectural Design Program on "POETICS OF THE STREET MARKET : A Phenomenological Study on Temporality of Ephemeral Structures" (2018). Currently, he is a studio instructor and lecturer at Istanbul Technical University, Faculty of Architecture.